YOU ARE THE UNIVERSE; IT’S PRONOUNCED ‘YOU’NIVERSE FOR A REASON. ‘I am here to share stories of sacred sites & sights from all over the earth, the skies & within. This is a collection of visions from a journey of both inner and outer exploration. Soul Traveler is an endeavor which consists of mixed media (writings, visuals, audio, etc.) on Travel, Esotericism, Meditations and Inspiration for the Soul. It is a company dedicated to the well being and self-development of those who come across it seeking further knowledge, awareness, and discovery of both inner and outer realms. 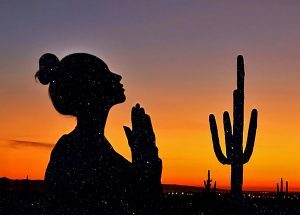 Soul Traveler aims to connect the connected through exploration & zen – sharing experiences, stories, adventures & journeys of the collective as a whole, so that we may learn, teach and grow together in harmony. So what does it mean to be a Soul Traveler? It means you are alive, aware and seeking to fulfill your potential here on earth & beyond. It is connecting with others as you journey forth on your path, listening to their stories and re-membering We Are All One. It means you are seeing your reflection in others, all that is, within yourself – and that We Are All Soul Travelers. As an artist of written, visual and audio formats, Dulce Ruby aims to connect with & awaken the masses. Through exploration and expression of both inner & outer worlds, she shares insight and content in regards to both spiritual & physical matters. 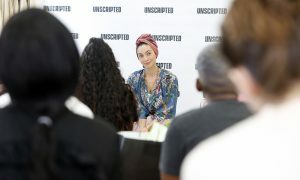 Via her site and usage of tools such as social media, she has been able to further extend her reach and continues to utilize these platforms for connectivity, reflection and service. Dulce Ruby works in meditational guidance, coaching and leading while maintaining continuous practice and study around the globe. She has come to partner with various companies and organizations in order to spread the message of peace, positivity & possibility. She hopes to awaken the masses to Self-­awareness, empowerment, and love ­so that we may all find our Self awakening to our truth & limitless potential. She believes that we are all divine beings of purity and that beyond the doors of chaos, lives peace..
And the key, is meditation. 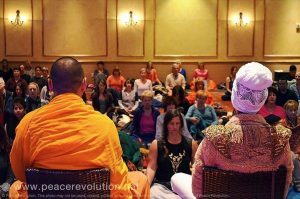 Coordinator and Host of the first ever PIPO (Peace In, Peace Out) events & tour in the USA, Dulce Ruby has brought about 33 events to this day all over the nation to inform, speak on and spread world peace through global meditations and workshops. As a conscious student of the Universe, Dulce Ruby has had the opportunity to share insight in hopes to empower, inspire & awaken the masses at corporate levels, conferences, summits, schools, and universities. As an explorer of both inner & outer worlds, Dulce Ruby aims to capture both the beauty of our physical world & the magic of our inner world through a variety of art forms. From visuals such as photography and poetry, to audio meditations and spoken word – she shares her views & perspective. A natural creative, Dulce Ruby finds inspiration in every moment and has been contracted around the globe to aid in developing brands, advertisements and content for those who seek her aid, vision & magical touch. From companies and organizations to tourism boards and establishments, she helps build momentum in pure form & intent.